I’ve always liked rhubarb. 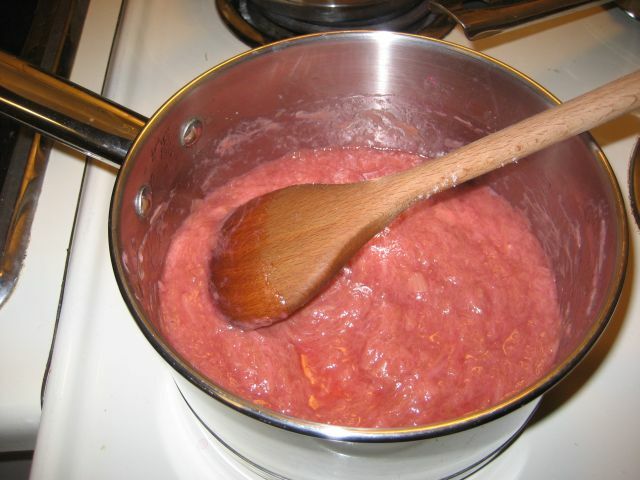 As we posted in rhubarb season 2008 we made rhubarb sauce last year. Tanny just found a rhubarb website with a lot of potentially good recipes. Strawberry-rhubarb pie is always yummy, but we don’t have any local strawberries yet. So far the 2009 rhubarb recipe favourite is looking like Rhubarb Crumb Bars. We’ll post back with the results. 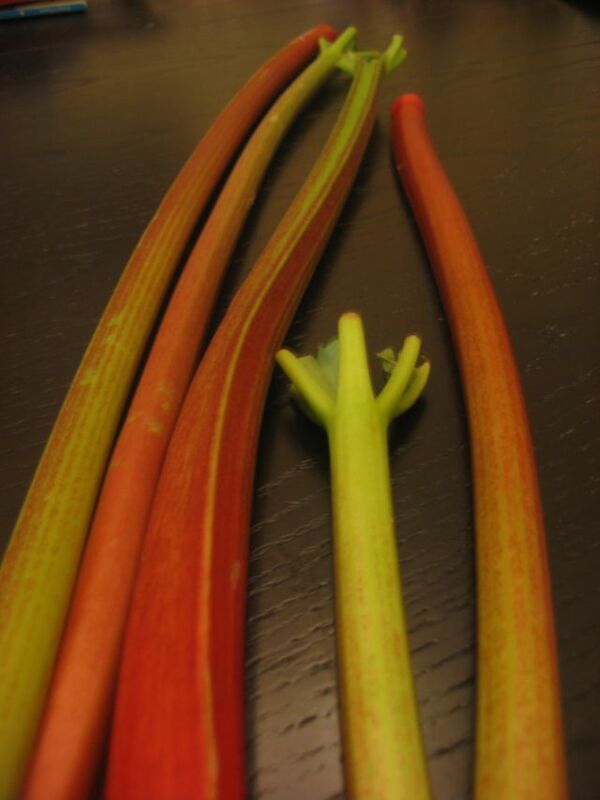 Heat the rhubarb in a saucepan on low heat with a tiny bit of water. Stir as the rhubarb cooks until the rhubarb gets to a stringy, saucy consistency (see picture). Stir in sugar. That’s it. We eat it on toast. Tanny made rhubarb-apple muffins with our first load of rhubarb and they were also excellent. Anyone have a good strawberry-rhubarb pie recipe they’d like to share?